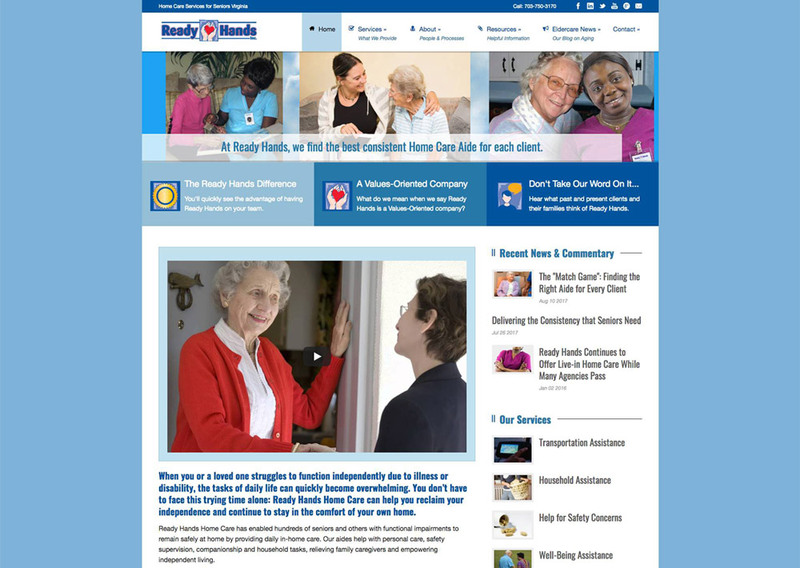 Ready Hands, a home care services company in the health care industry, wanted a website redesign where their staff could publish articles, update employee information, list resource documents and web links, and post client feedback. 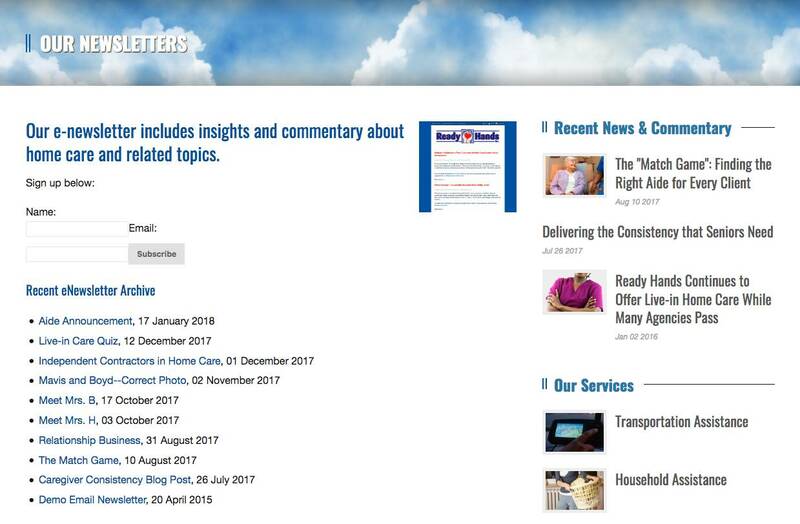 It was also important that everything be as automated as possible so we integrated RSS feeds, an automatic email newsletter system, and auto post to facebook so that all they had to do was post to the blog once, and it would disseminate through email and social media. 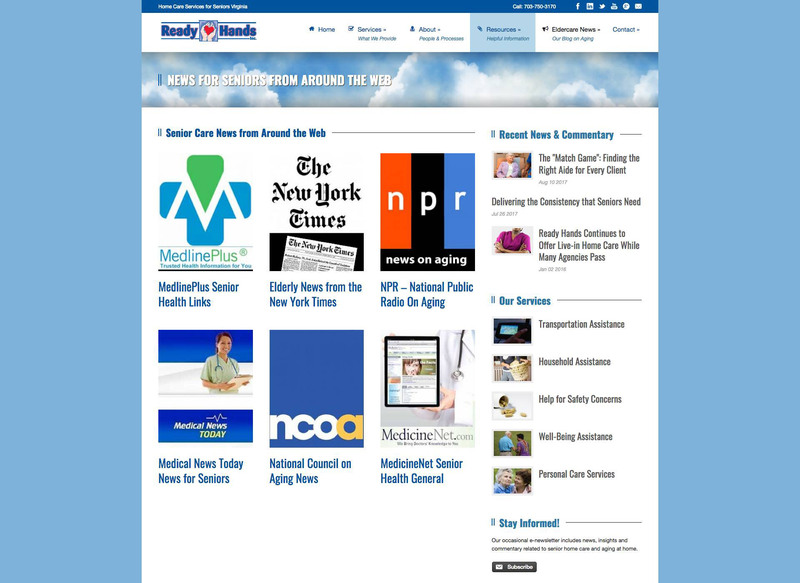 It was important that the website have a welcoming, comforting feel while staying consistent to their branding, and making the site easy to browse and find information. Bold Print Design Studio did a superb job designing a logo and ID package for my start-up business. Susan not only produced a design with which I’m delighted, but went the extra mile to communicate and explain everything in detail all the way along. 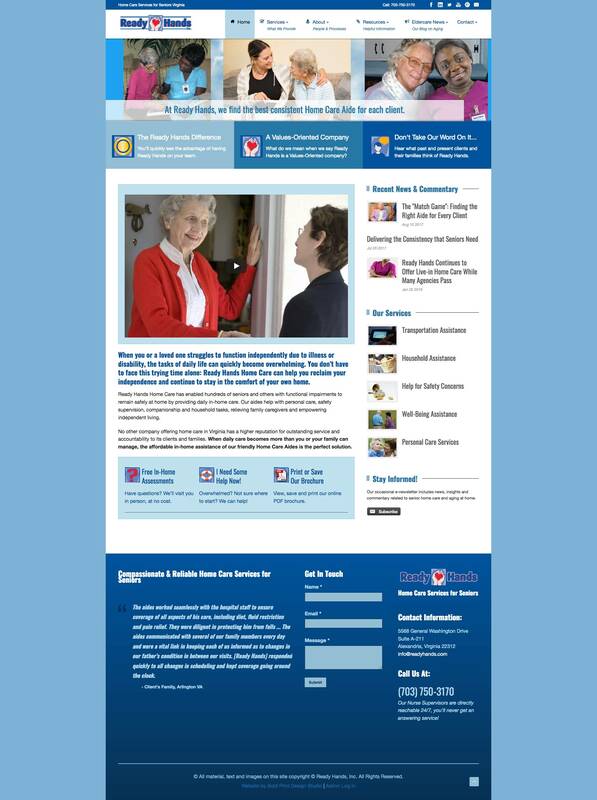 She was unfailingly courteous, professional and responsive. I highly recommend Bold Print Design Studio without reservation.